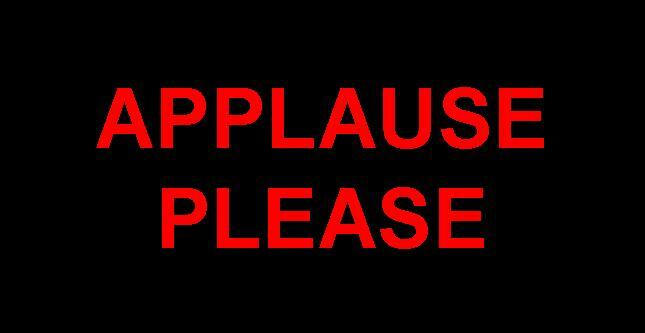 New York City Stage: The Applauder - Which One Are You? Last quarter, a stunning Lynda Carter, who played Wonder Woman on TV in the 1970s, performed her heart out on stage at JALC's Allen Room. While I admired her effort and was distracted trying to guess how old she could possibly be, I did not enjoy her voice one bit. On top of that, I did not appreciate the gentleman’s deafening applause behind me. 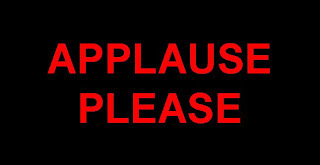 His applause was not the excited display of appreciation. It was just piercing and mechanical. With the memory of Lynda Carter's performance behind me (thank goodness), this is a great opportunity to explore and have fun with the different applauder profiles. We all know this person. The actor/singer/orchestra pauses and there he goes – inappropriately interrupting the performance with his premature applause. He just can’t wait; he just can’t help himself. You just want to say - simmer down, you will have your moment to express praise. This person does not care how magnificent the performance is. He will only give a gentle tap, if any at all. You are not sure he even wants to be at the performance. Aah yes, the inspiration for this blog entry. Watch out if you are sitting near this person; according to the How Stuff Works website, any sound above 85 dB can cause result in hearing loss. Yes, this is the one I like. No one gets hurt. No one is offended. Aah, a nice normal expression of praise at the right time. If the performance is especially good, the applause can become excited and, in numbers, the right amount of thunder.